CodedColor is more than just an image viewer. It allows you to classify your images, deselect the worst, print one or more of them, print contact sheets to better choose which one will be worth finishing in poster, on the wall, etc. 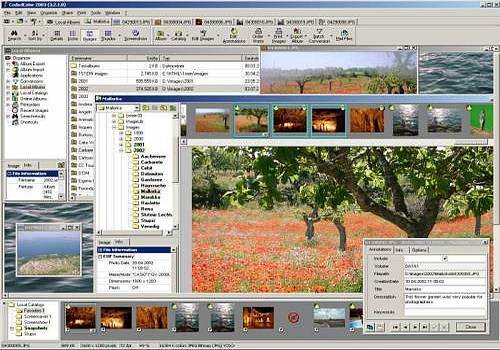 But CodedColor is also a simple and stable database, which allows you to sort your images according to several criteria including keywords, which you define yourself, and which then allow you to use them to find images and photos more quickly. Finally, CodedColor, opens the world of the Internet. Thanks to it, you can order real paper prints from laboratories, send the files via CodedColor and receive the prints at home. What simplicity!